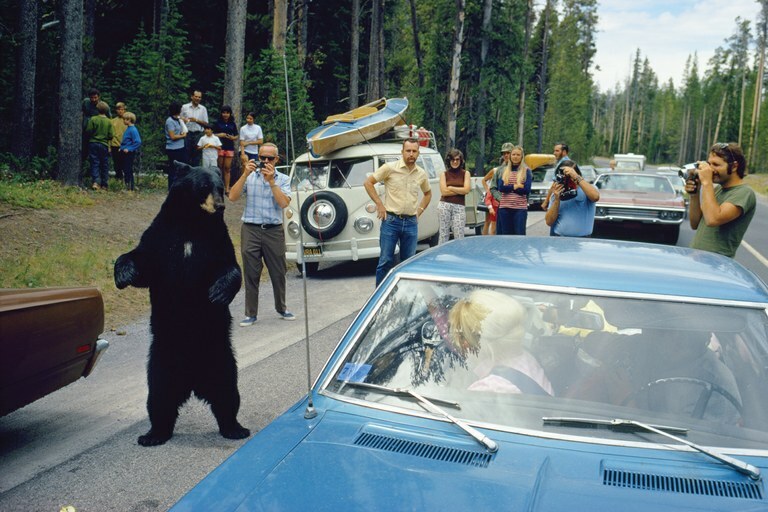 Tourists pull over to photograph a black bear in Yellowstone National Park in 1972. In June 1972, a young man from Alabama named Harry Walker visited Yellowstone. One night, returning to his illegal campsite near Old Faithful, he was mauled and partially eaten by a grizzly bear. His death marked a nadir for the National Park Service, which increasingly found itself having to kill grizzlies that came into conflict with humans, even though the species was in decline. Grizzly advocate Martha Shell, convinced that the agency was covering up its mismanagement, talked Harry Walker’s family into filing suit. It didn’t go well for the Park Service, which was found guilty of negligence. Forty years later, drawing on the trial transcripts, interviews and archival research, writer (and former park ranger) Jordan Fisher Smith brilliantly excavates an underlying debate that still plays out among wildlife managers: Should agencies manipulate wildlife and vegetation, choosing between species in wilderness — or should they do their best not to intervene, and let nature decide? 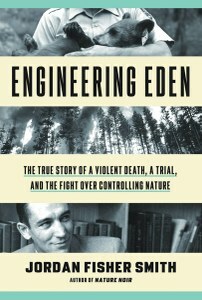 In Engineering Eden: The True Story of a Violent Death, a Trial, and the Fight Over Controlling Nature, Smith unearths a series of painful ironies. For one, the Park Service in the late 1960’s began to close garbage dumps in Yellowstone — an effort that inadvertently may have contributed to Walker’s death. All of which came true, sadly. Not only was Walker’s death attributed to the dump closure during the trial — although the ruling was overturned on appeal — but the grizzlies also suffered grievously. In 1970 alone, 57 grizzlies died “unnatural deaths” in Yellowstone, and by 1975, with just 136 bears left, the species was declared endangered. The year after Walker was killed, photographer Galen Rowell, tipped off by a climbing buddy named Chris Vandiver, came upon a secret dumping ground for dozens of black bears euthanized by the Park Service in Yosemite. He found piles of decaying bear corpses beneath a roadside cliff, some hanging in trees. Appalled, he went on to publicize the “ghastly spectacle” to force the Park Service to stop killing bears. Rowell’s pictures infuriated the public and threw Yosemite’s management into a crisis. The park ultimately hired a full-time biologist to research the issue of “problem bears.” That biologist, Dave Graber, settled on a solution now familiar in parks around the country. Bears must not be allowed human food or garbage. There are no exceptions, and there are penalties for humans who violate the rules. Mazur leavens her detailed history with lively characters, from a mule-packer who blew up a troublesome bear with dynamite, to a biologist who saved an over-tranquilized bear with mouth-to-snout respiration, to a ranger who screamed at campers careless with food. In the end, Mazur comes back to the science. Using isotopic hair analysis of bear hides dating back to Yosemite National Park’s early days, she shows that the no-human-food policy has worked. 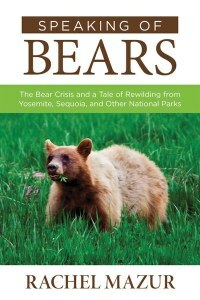 “The proportion of human food (in Yosemite) in bear diets decreased to the same level as it was in the early 1900s,” Mazur concludes, even though millions of people now visit the park each year, as opposed to a few thousand a century ago. This review was updated on May 22, 2017 to correct several errors. Grizzly advocate Martha Shell did not file the Walker lawsuit; the dead man’s parents did. Yellowstone Chief Research Biologist Glen Cole did not order the Trout Creek Dump closed in 1967. The park’s superintendent did so in 1969. Frank and John Craighead did not warn in 1967 that the dumps should not be closed “without alternative provisions,” but that they should not be closed rapidly, without eliminating other sources of human food closer to people . Galen Rowell did not discover the Park Service’s secret bear body dump at Yosemite; a climbing partner of his, Chris Vandiver, did, and told him about it. Rowell was not an “activist,” but rather a big-wall rock climber and photojournalist. HCN regrets the errors.